D.C.-based software company TransitScreen just compiled a ranking of the country’s most transportation-friendly college campuses. That is, schools with quick and easy accessibility to buses, trains, taxis, bike share programs, and ridesharing services. 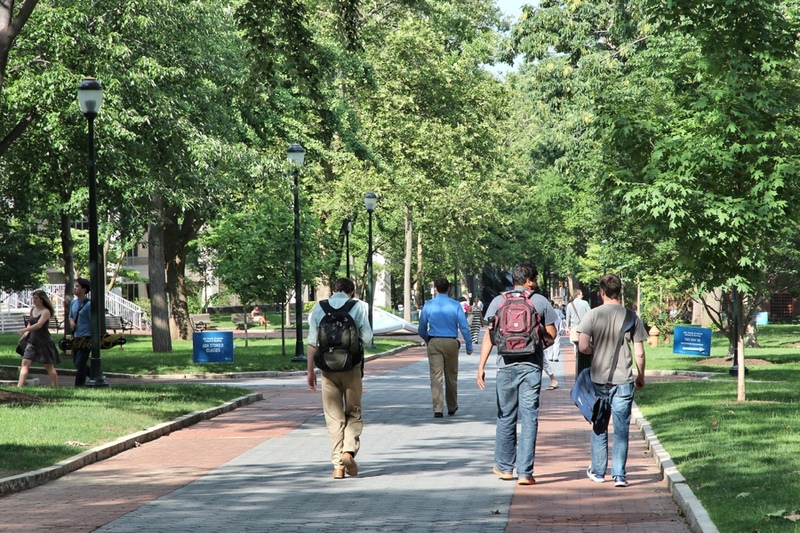 The University of Pennsylvania sits at the top of the list with a perfect score of 100. TransitScreen, which rates U.S. locations based on mobility, conducted the study by analyzing the country’s top 50 universities, according U.S. News & World Report’s list. With its MobilityScore platform, the service determined mobility grades (on a scale of 1 to 100) from each school’s student union building. They examined whether students could access bikes or trains from this central campus location for the sake of consistency, particularly for those campuses that are spread out in a city. The study did not include private university shuttles and only looked at accessibility to public transportation. Thanks in large part to SEPTA’s widespread access, Indiego bike share, and Philly’s large Uber and Lyft presence, Penn was able to snag the list’s top spot with the perfect score. Penn tied with New York University, which also received a score of 100. James Williamson is an intern at Philadelphia magazine.